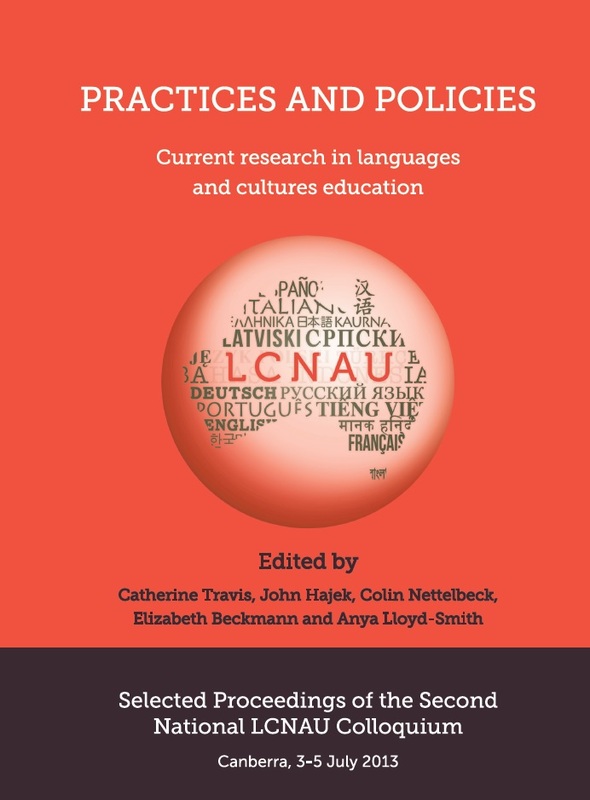 The Proceedings of LCNAU’s 2011 and 2013 National Languages Colloquia showcase research and scholarship in the languages and cultures disciplines; inclusion in the Proceedings is the result of a selective and fully-refereed process. The proceedings of LCNAU’s Second Biennial Colloquium, held at the Australian National University, 3-5 July, 2013, are available for purchase and for download (as individual chapters only). Only a small number of hard copies are left in stock – so order yours today! The proceedings of LCNAU’s Inaugural Colloquium, held at The University of Melbourne, 26-28 September 2011, are available for purchase and for download (as individual chapters only). Only a small number of hard copies are left in stock – so order yours today!